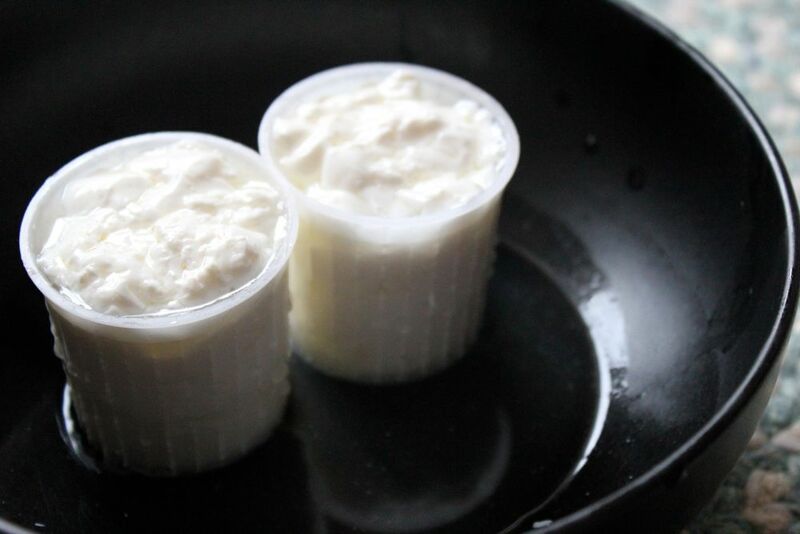 When testing my rennet before making mozzarella, I found myself with a cup of fresh curds on my hands. Not wanting to toss them, I decided to try to make primosale (pronounced pre-mow-sa-lay, means "first salt") using the small molds we had brought back with us from a lunch in Puglia. It was really simple to make and actually yielded enough to fill 2 of the single serving molds. They looked great and tasted even better! Inspired, I decided to make a few more to take as a thank-you treat to our friends who had watered our plants while we were away... and then I decided to make a few more the next day as a birthday present for one of our CSA friends... and then of course I needed to some extra for our breakfasts! I was just a little obsessed. The fun of Primosale, other than the sheer ease of making it, is that it lends itself to any flavor combination you could dream up. On it's own it has a fresh, delicate flavor. 6. 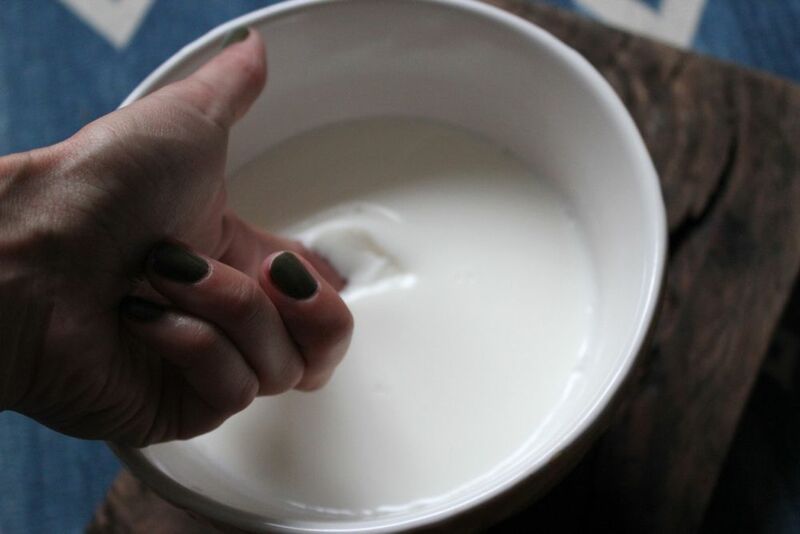 Test for a “clean break” by sliding your index and middle finger into the curd diagonally and then curling one finger up. if the curd splits cleanly, you’re ready to cut the curd. 12. Enjoy as is or lightly salted. Primosale with Basil, Mint, and Tomatoes Primosale with Almonds, Whisky, and SpicesTry chopping up some tomato (remove the seeds and gel), basil, and mint and layer it in to the curds as you spoon them into the molds. This was the style of the Primosale we ate at a winery in Puglia - great paired with some cured meats, bread, and a fruity white wine or wheat beer. Roughly chop some nuts and raisins, soak for 30min in about 1Tbs whiskey. Add spices - cinnamon would be wonderful, but for something different try turmeric, nutmeg, and paprika. Add this paste to the top of the curds as they are draining. This one is great as a dessert or as Scrapple and I have been enjoying it every day this week - spread on toast for breakfast! If you give this a try, please let me know how it turns out for you! I'd also love to try more fresh cheese recipes so please share if you have a favorite!